Yoga is a method of unique exercises and postures that help you achieve mental and bodily control and promotes well being. Yoga poses are basically known as Asanas, help promote the physical well-being of a person by reducing weight, improving blood circulation, reducing the risk for cardiovascular disease, relieving respiratory problems especially asthma, , and normalizing blood pressure levels as well as improve physical strength and stamina, associated injuries and decrease the risk of falling. If you are a beginner in this field, then there are various yoga poses for beginners that can help and control your “self” and take you to the next level. 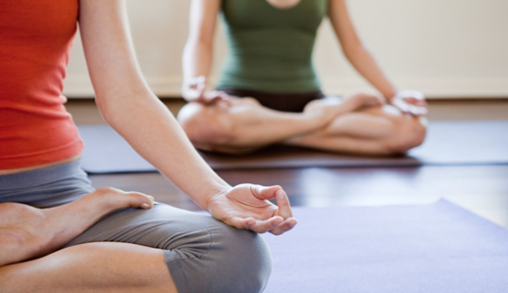 keep in mind that yoga is comprised of three main divisions namely Meditation, Breathing and Exercise. There is separate beginner poses for each of these divisions. Beginner poses for yoga meditation: Bal Asana and Yoga Nidra. Bal Asana makes an excellent beginner pose for the relaxation of soul and body. Yoga Nidra is a meditation pose that promotes deep sleep, improves intelligence and promotes clarity of mind. Yoga beginner poses for Breathing (Pranayama)- Vajra Asana (Diamond Pose), Padam Asana (Lotus Pose), and Sukh Asana (Easy Pose). Vajra Asana improves the function of lungs and cures varicose veins. Padam Asana improves cardiovascular disease and promotes peace of mind. Sukh Asana is meant for people who find it difficult to execute Vajra Asana and Padam Asana. 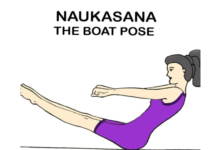 Most popular beginner poses for the exercise – Tada Asana, Kona Asana, Trikonasana, Uttanpanda Asana, Market Asana, Leg Rotation Asana, and Yoga Mudra. Tada Asana makes an excellent pose for beginners as it helps improve stretching, increases height and flexibility. Kona Asana strengthens the bones and relieves joint inflammation. Trikonasana strengthens the back muscles and helps reduce back pain. Uttanpanda Asana has been revealed to ease indigestion and other gastrointestinal problems. Market Asana is a supine yoga pose that improves flexible back. Leg Rotation Asana makes a best supine yoga pose for those beginners who are looking for permanent weight loss. Yoga Mudra is a sitting yoga pose that helps in retaining prettiness and youthfulness.